Christian Hubert Studio provides architectural and interior design services as well as design / build services for residential interiors, custom mill work, and furniture designs, Mr. Hubert’s work has been much appreciated by artists, collectors, and museum curators. He is also known for his exhibition designs that explore the relations between art and architecture, and for his residential work for prominent artists, art collectors, and other visually demanding clients. Many of his clients come back to him for new projects. Mr. Hubert gives all his clients his individual attention. Christian Hubert Studio regularly works with Touchwood furniture makers for custom interiors and furniture, and with Greentech construction for architectural design projects – including both renovation work and new construction. His team can provide full design / build services, and the work ranges from modest size and budget projects to high-end designs. Chapin Interiors is a boutique Interior Design firm established in 2000 by Principal, Sarah Chapin. Chapin Interior projects vary from polished Pied a Terre’s in urban East Coast cities to rustic lake homes in New Hampshire and swank ski chalets in stunning resort areas. Ms. Chapin has been involved in interior design her entire life starting with the family business, Pottery Barn, followed by a successful 14 year career with Mariette Himes Gomez of Gomez Associates in NYC. The main office of Chapin Interiors is located on Pondfield Rd. in Bronxville, NY. Chapin is involved in all phases of every project and is supported by design assoiciate, Gina Balzano. Balzano has been with Chapin Interiors since 2012, and is also a veteran in residential design having worked with several NYC design firms previous to joining Chapin Interiors. An avid skiier and sportswoman Chapin is finely tuned to the site of each project. Working closely with clients Chapin blends unique furnishings, fabrics and accessories to create a sophisticated and urbane interior even in the most rustic settings. There is a beautiful clarity and elegance to each project and yet it’s clear each project is a unique reflection of the client’s style. My mission: To maximize the potential of one's home. Whether that be a five-story brownstone on the Upper East side, a studio in Gramercy, or a one bedroom in Harlem, my goal is to show you the potential your home has and to help maximize it". Organize: Preparation for a streamlined property to maximize its space and beauty. Unclutter: Figuring out what needs to stay and what needs to go. Pressure Washing: Decks, walkways, pool patios; even siding. There are so many uses for getting rid of the grime that builds up. Painting: It could be as simple as touching up or a full on interior or exterior process. Carpentry: Taking care of all of those often put-off fixes that now need attention. Or having something modified or added to gain more value to the property. Landscape: Clean up and removal of shrubs and trees that might have seen their best days already. . Garage & Basement Organization: Often long overdue, these are the not-so-fun jobs that must be tackled. Let us take on the task; we don't have the same sentimental attachment. Moving Services: Whether we handle packing your belongings to prepare for the move, or to unpack and set up the house upon moving in, as Certified Relocation Specialists, the removal of stress is included. Staging: It's about choosing the right props along with setting up the furniture in such a way that potential buyers can see themselves living in the house. With attention to detail, we create that cozy, inviting feeling. Smart Home: Cutting edge Smart Home technology can be incorporated into your home. Catch the latest wave and we will make your home more efficient while being state-of-the-art as well. Cara Woodhouse specializes in private Residential & Commercial projects. With twenty years of experience in the design field, she prides herself in having a fine eye for detail. Encapsulating the fundamental values of design such as form, function & symmetry, she combines luxurious comfort with unsurpassed customer service. Having lived in New York, Los Angeles & London she brings her worldly knowledge of design to each and every project. She has worked on a broad variety of interior styles throughout her career, now focusing on modern, contemporary & eclectic designs. Her background at the esteemed design firm, Cullman and Kravis, gave her the foundation for traditional design early in her career. This experience established her groundwork for detail, project management & the understanding of the design business. During her partnership at ZK Interiors Ltd., she worked on creating transitional designs with a large roster of clientele. As she moved to London in 2009, she formed Cara Zolot Interiors until partnering at Morris & Woodhouse Interiors in 2013. Cara Woodhouse Interiors is a full service design firm based in Williamsburg, Brooklyn. Their design services include architecture consulting, contract management, spatial planning, material & finish selections, custom furniture, millwork and antiquing. Cara strives to find the perfect balance in each space . Design is Cara’s passion, it also happens to be her job. Nothing gives her more satisfaction than collaborating with clients to create their dream homes. David Kaplan Interior Design LLC is a distinctive and captivating interior design firm that creates stylish and functional spaces. Based in New York City, David Kaplan Interior Design LLC services clients in many communities including The Hamptons – Long Island, NY and Ft. Lauderdale, Florida. With more than 30 years of experience, David Kaplan has the innate ability to design spaces to suit the lifestyles, desires, and tastes of his clients. David works individually with each client to develop a ‘casual elegant’ design aesthetic that focuses on incorporating natural, sustainable materials and infusing subtle references to nature. David’s design styles range from classic- to innovative, and he works collaboratively with each client to develop a unique expression to personalize and enrich their home environment, whether it is a tiny apartment or a sprawling compound. 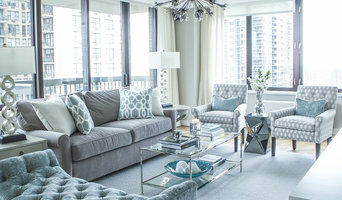 With a truly “universal design” approach, David is equally skilled in designing for all age groups – urban pads for young professionals, progressive and flexible environments for growing families , as well as mature abodes for retired baby boomers and empty-nesters to age in place comfortably. A natural-born aesthete, who doesn’t just create design; but lives it. Born and bred in New York City, educated at Parsons School of Design and fluent in four languages. A seasoned home decor executive with 20+ years of experience in product development and design. Most recently was part of One Kings Lane’s founding team, as the Director of Merchandising and Global Sourcing. Former Director of Product Development at Bloomingdale’s and Senior Merchant at ABC Carpet & Home and Saks Fifth Avenue. I offer classic interior design services with a modern approach and a clear understanding that value never goes out of style. A firm believer that your home should feel like you've been collecting not decorating. I have a knack for repurposing objects, rearranging furniture and injecting fresh energy to a room that was once stale. Denise has been a designer for over 25 years and has been published in numerous works including House Beautiful, Better Homes & Garden, New York Magazine & Distinction. Her style reflects and elegant and refined look, with clean lines, tailored upholstery and classic pieces. 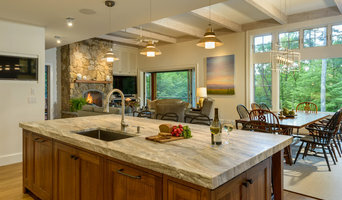 She is currently working on homes in Connecticut, the North Shore of Long Island and the Hamptons. 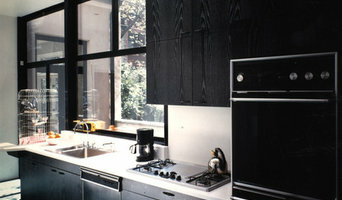 Missy’s projects include an Upper East Side Classic 6, a house in Boston and a Downtown Loft. 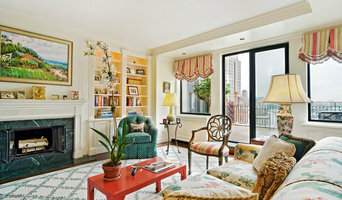 Together they have been featured in Traditional Home, Luxe, The New York Times, New York Cottages & Gardens and Newsday. Her young, fun aesthetic has brought a bright new vibe to the firm as they collaborate to create their Preppy Chic look.